Kelly Clarkson proved her vocal prowess once again on the stage of American Idol where she was crowned the first champ as the surprise summer hit would eventually peak at 38 million viewers. Simon Cowell once told Howard Stern that Clarkson was by far the most self-assured, “ruthless” contestant in history, having fired the entire management team assigned by Idol almost immediately after her win. In fact, Clarkson often distanced herself from the show. But that all changed last night on the Idol stage when she sang “Piece by Piece” through tears. Though Clarkson often keeps her personal life close to the vest, the lyrics are telling, and the singer has said that as a child of divorce she “never had a man stick around and “whenever people said, ‘I’m in love,’ it didn’t really hold very much weight or gravity with [her].” Clarkson said the song is a “love letter celebrating and thanking [her] husband for being a man that knows how to love [her] and [their] children without expecting anything in return.” Clarkson is married to Brandon Blackstock who she met through Reba McEntire. Reba was married to Blackstock’s father for over two decades before calling it quits amidst the 2015 wave of celebrity divorces. Because Clarkson was pregnant with her first child while creating her album, she was unable to write most of the tracks, with the exception of “Piece by Piece” and a few others. Watch her very moving performance below. The song hit #1 shortly after her performance, further illustrating Clarkson’s ability to move a room. If you know The Dishmaster, then you know I have a strict policy against publishing paparazzi pictures. I will; however, publish pictures posted by the celebrities themselves, and you can often find some gems on instagram. I’ve posted this week’s top snaps below. Enjoy! Kristin Cavallari revealed her baby bump. Photo courtesy of Kristin Cavallari. Jessica Simpson looking slim for her Weight Watchers commercial. Photo Courtesy of Jessica Simpson. 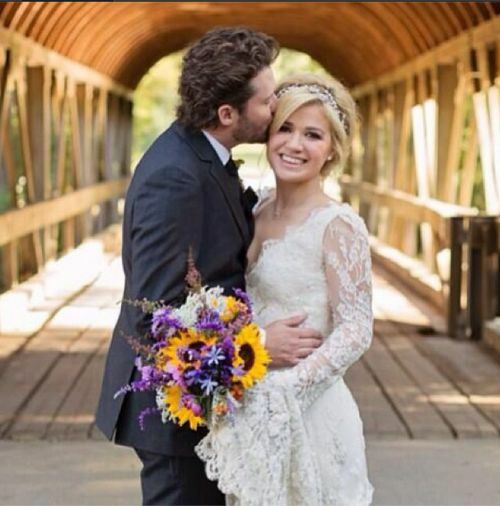 Kelly Clarkson’s wedding picture. 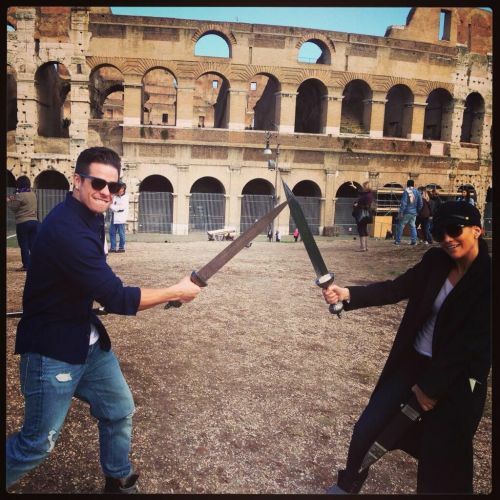 Photo Courtesy of Kelly Clarkson. 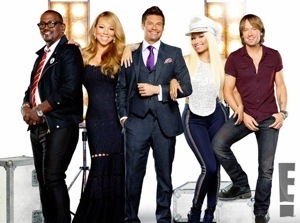 Since its 2002 debut, American Idol has been a household name and a ratings juggernaut. I first learned of the show months before it aired because I was part of the production crew that handled the Dallas, Texas auditions. Back then, we actually had to convince people to try-out. In fact, I was fortunate to have Kelly Clarkson in my audition group. I pre-interviewed her before she sang for the producers, and I immediately knew that she had something special; she was quick-witted and sassy and we hit it off right away. She hilariously asked that I hold her purse and answer her phone if it rang while she auditioned. The rest, as you know, is history. Eleven years later, another small-town girl from Woodville, Texas is a top seven “American Idol” contender. Her name is Kree Harrison. I was also raised in Woodville, which has a current population of 2,574. A few nights ago I got to see her sing live. The entire experience was amazing. It was Rock’n’ Roll night, so the remaining contestants belted out their favorite rock song from the past several decades, even singing duets and trios. My hometown girl sang a Janis Joplin number – “Piece of My Heart,” and Amber Holcomb gave a chilling performance reminiscent of Whitney Houston. As I sat in the audience that night, I pinched myself at the thought of the show’s trajectory since I met Kelly Clarkson. And though there are many contestants who deserve to win, I’m certainly hoping for a two-time, Texas victory. If any fans would also like to take part in the show, now’s your chance! Submit your ideas for an upcoming musical theme, courtesy of AT&T. Just tweet your ideas using the hashtag #ATTIdolTheme. Click HERE for more information. 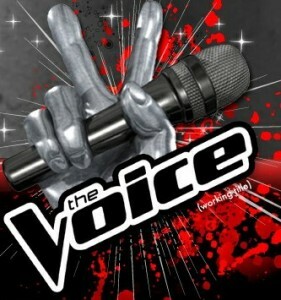 When I heard that Kelly Clarkson would appear on The Voice, I thought, “Wow, that’s really strange. Isn’t she the chick that won American Idol?” As it turns out, I’m not the only person intrigued by the choice. American Idol programming executive Mike Darnell said, “It’s a compliment to Idol, that other shows want to use our superstars on their shows. We’re not hiring a lot of people on The Voice to be on our show.” It is a little strange to tout Kelly Clarkson as famous enough to mentor up-and-comers, considering that fame is solely attributed to a competing show. I bet the development executives in charge of her selection hadn’t even thought about it until the media brought it to their attention. 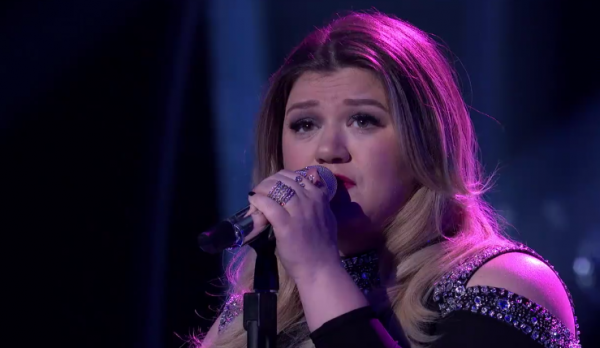 Kelly Clarkson Sings ‘Mr. Know It All’ at the AMA’s — Stunning! If you read my very harsh Nicki Minaj post, then you know my complaints about unnecessary, over-the-top performances that lack actual singing. Well — I forgot about Kelly Clarkson’s performance of ‘Mr. Know It All’ when I said that. She looked beautiful and sounded great. My only complaint was the cheesy arrangement — but you can’t have everything. Watch below. Author The DishmasterPosted on November 21, 2011 November 21, 2011 Categories GeneralTags american music awards, kelly clarkson, Nicki MinajLeave a comment on Kelly Clarkson Sings ‘Mr. Know It All’ at the AMA’s — Stunning! Hasn’t Kelly Clarkson learned her lesson about bad-mouthing heavy hitters in the industry? To promote her new album, ‘Stronger’, Clarkson revisited the Ryan Tedder controversy and once again accused him of giving her and Beyonce the same song. The two songs in question are Beyonce’s ‘Halo’ and Clarkson’s ‘Already Gone.’ Clarkson learned of the similarity after watching YouTube mashups and she later pointed the finger at Tedder in the press. Tedder was rightfully pissed that Clarkson smeared his song-writing reputation. In an effort to give Clarkson the benefit of the doubt, I played both songs for my musician friend, Steve Aho, who said that, although they sound similar, “it’s a very common chord progression” that “isn’t even identical.” Since I’ve done my musical research, I can now safely say that Kelly Clarkson is irresponsible and classless. You do not bad-mouth a musician because some douchey people made YouTube mashups of your song. Perhaps she should write her own material so she needn’t worry about this nonsense. Oh wait — she did — and it didn’t work. Kelly Clarkson is Angry at Ryan Tedder? – Or Just in General? Some people are speculating that Kelly Clarkson’s new song ‘wash, rinse, and repeat,’ takes a dig at Ryan Tedder, who wrote her hit single, ‘Already Gone.’ Clarkson publicly lashed out at Tedder after she heard Beyonce’s ‘Halo,’ accusing him of basically writing the same song for both of them so he could make double the money. Tedder said that the two songs are similar because he has a specific song writing style, but he in know way tried to get away with pitching the same song to two different artists. Personally, I’m sick of Kelly Clarkson’s disrespectful attitude. First of all, she lodged a mighty accusation Tedder’s way, which could have been extremely damaging to his career. And those songs don’t sound near enough alike to warrant such a tongue lashing. Second, Kelly Clarkson needs to keep her big mouth shut. You might remember her insulting the legendary Clive Davis when he correctly predicted that her non-pop album would tank. Listen below and determine for yourself whether she is perpetuating this Tedder accusation. Author The DishmasterPosted on May 6, 2010 November 13, 2018 Categories General, MusicTags Beyoncé Knowles, kelly clarkson, ryan tedderLeave a comment on Kelly Clarkson is Angry at Ryan Tedder? – Or Just in General?